I'm at the stage in my life where it seems like everyone is getting married. Every other week I find that new friends are getting engaged and shortly after I receive a Save-the-Date or invitation in the mail. 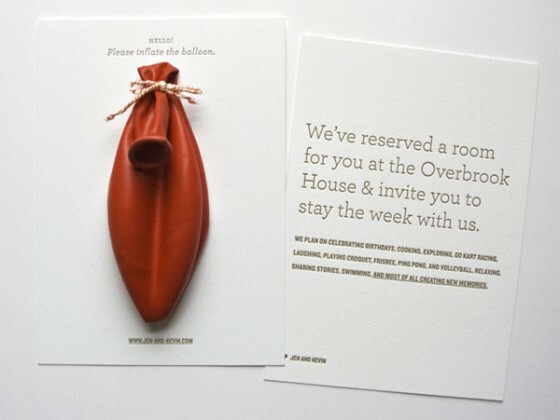 Some invitations are like a breath of fresh air, completely unique and special in their own way, while others sort of blend together and look the same after a while. 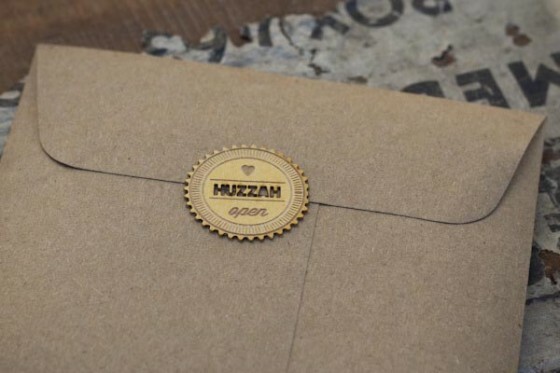 When you're sending out wedding invitations, while you do want your invitees to get all the details they need such as date, time, and location, what you really want is for them to receive a beautifully crafted package that represents the personalities of you and your fiancé. 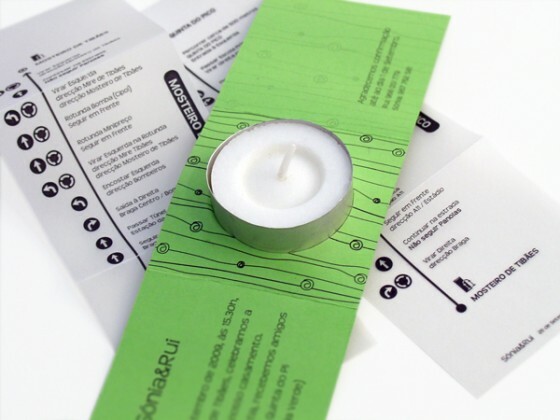 It can be incredibly difficult to craft an invitation that looks cool and provides guests with the information they need. 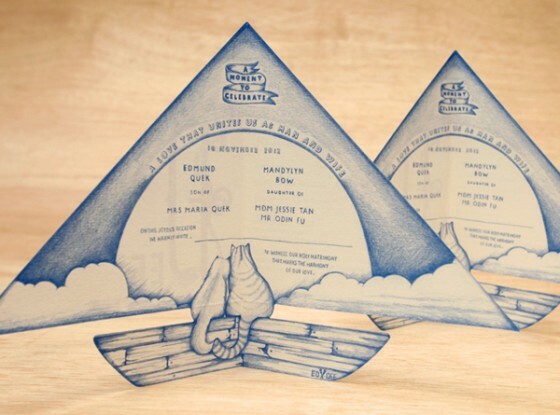 So, today we're bringing you a selection of some of the most unique invitations we've seen out there for your inspiration. 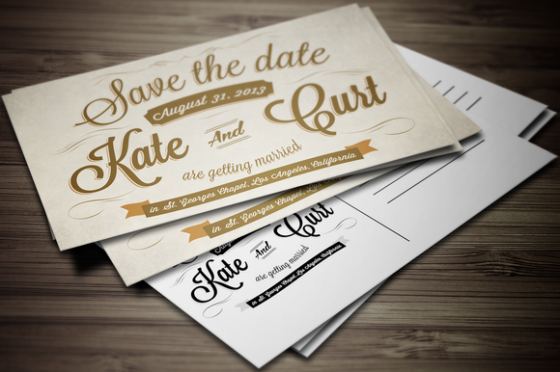 I think this idea for a Save the Date is a lot of fun. 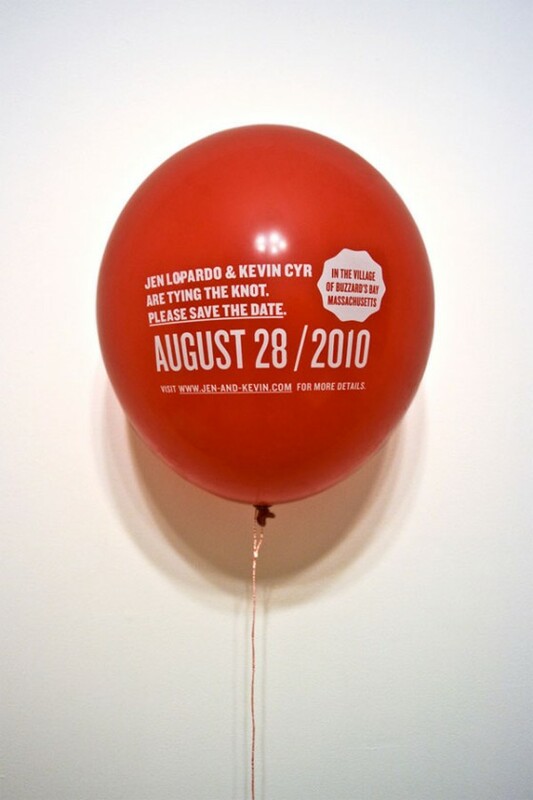 If you want something that people haven't done before, and your guests to be wow'd...definitely send them a balloon with all the details for your special day. 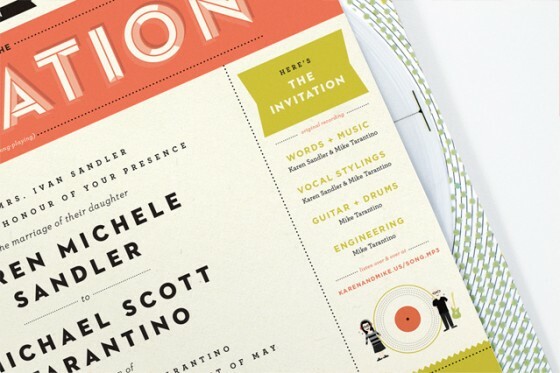 The designer explains this invitation perfectly, saying, "in the booklet-style invitation, a bit of paper-folding amplifies the sound of a sewing needle moving along the grooves of a flexidisc record. 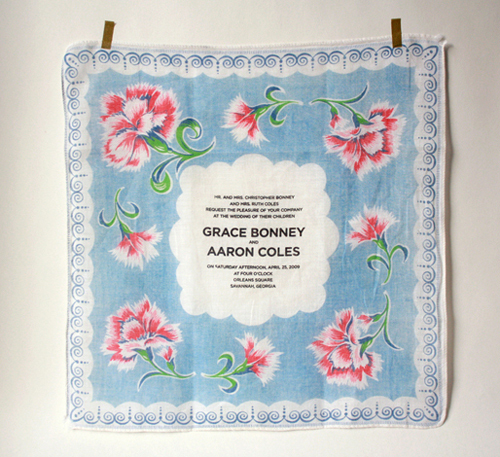 The hand-spun record yields a garbled, but scrutable listening of an original song by the couple. 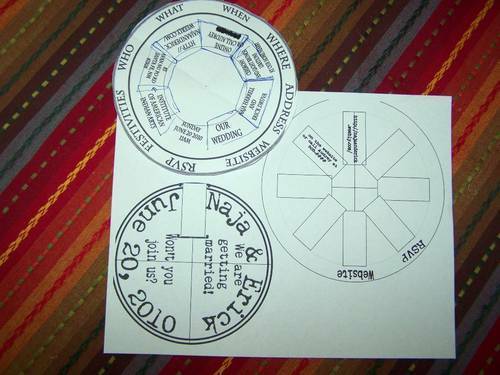 It requires a bit of tinkering and folding —effectively championing the inner science-nerd kid in the recipient. The whole thing serves as an interactive packaging for the song—which can be experienced on the paper record player, unscrewed + set on a regular turntable, or enjoyed online (for the non-nerds and/or audiophiles out there.)" Do you love travel and adventure? 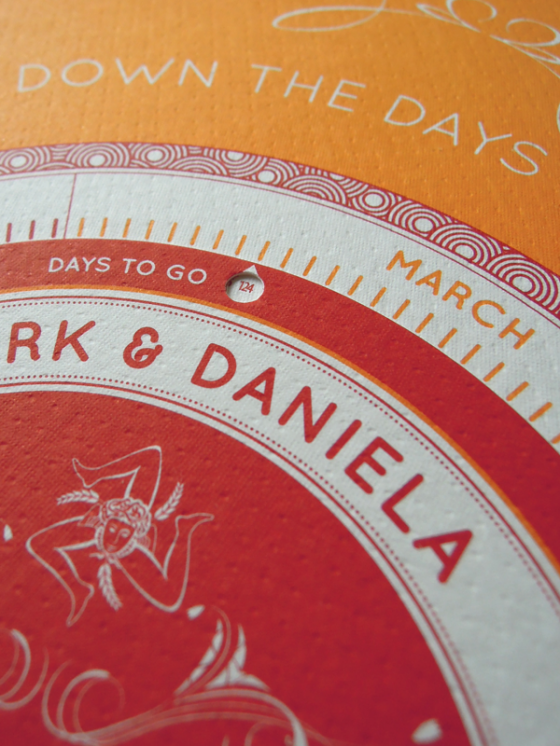 Kitkat Pecson designed these unique travel themed wedding invitations for an adventurous couple. 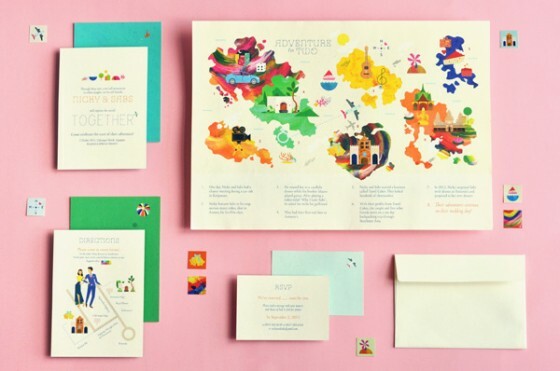 What makes theseinvitations so special is that they feature different places the couple has traveled together and key milestones in their relationship in those places (which are described in the legend at the bottom of the invite). You don't have to have traveled all over the world, but anywhere you two have had special moments can be shared on your invitations. This amazing couple created DIY invitations and rented a laser cutter/engraver to help them create the cool 3D effect you'll see in their invites. Ian Collins, the groom, explains that, "Our wedding was in the woods, and we hoped the pop-up trees would give our prospective guests a taste of event they would be attending. An accordion-style field-guide was also included, with illustrations done by my wife of local plants and animals." 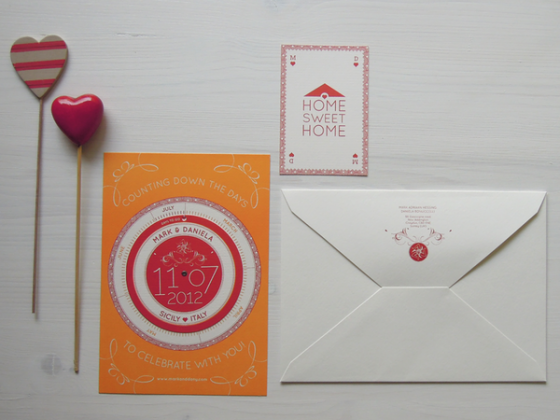 This couple really knocked it out of the park by creating some VERY special invites. 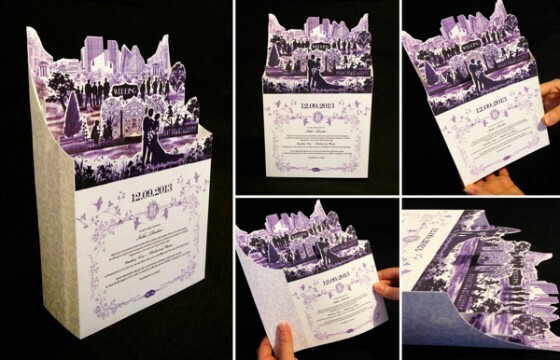 The best way to describe these invitations is actually in the words of the bride. 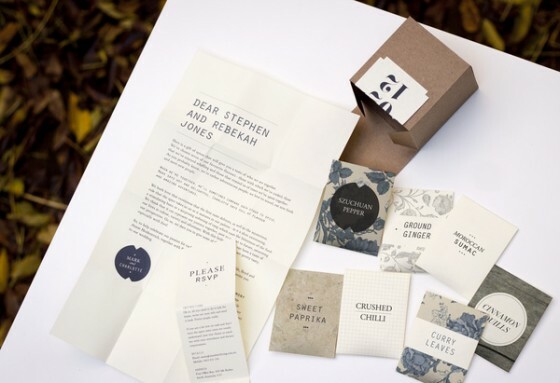 Designed by Charlotte Fosdike, the bride, explains, "I knew that I wanted our wedding invitations to be something that our friends and family would remember and hold on to, long after the wedding. I also wanted the invitation to deliver the essence of what we are as a couple. We are both highly adventurous people - we love traveling, discovering new foods, going to markets, meeting new people and exploring the world with all of our senses. I hence decided to create an invitation that would give our guests a small taste of us and to share with them the treasures of new and exciting flavours. It would deliver beyond visual representation by including interactive packaging to appeal to touch and a mixed array of spices in the packets to delight through scent and taste." 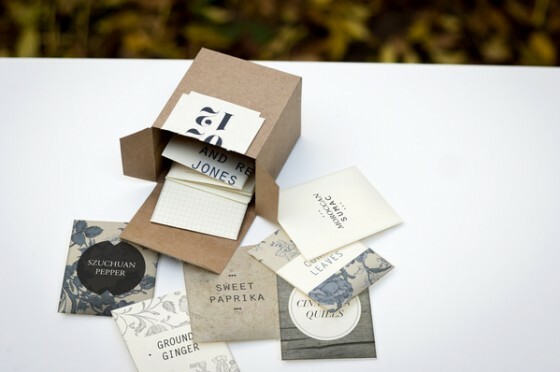 These ingenious invitations created by the couple, feature a box with specially selected spices. 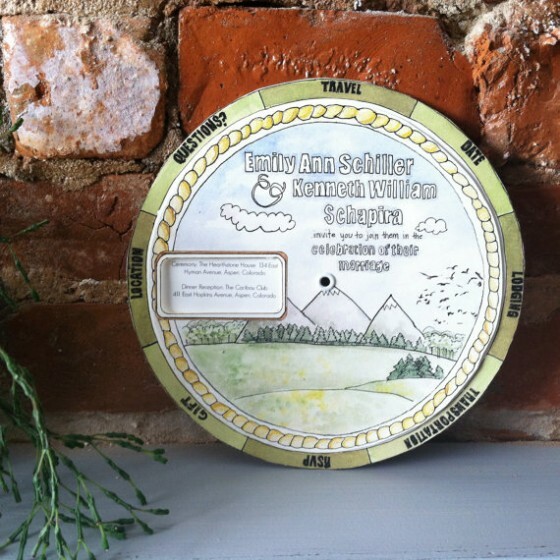 This talented bride decided to DIY her wedding invites and chose to use a movable wedding wheel that featured all of the important details for her special day. These are easy to DIY at home. If you liked the idea of the invitation featured above, I found a watercolor wedding wheel that was created in the same style as above. Did you ever play with a viewmaster as a kid? Well, I did, and I love the idea of having a series of fun images combined together for all your invitees to enjoy. 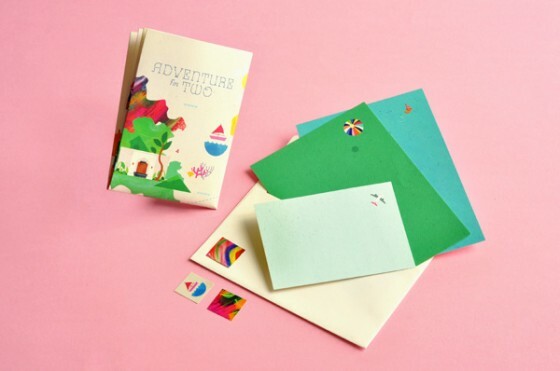 These invitations may seem like a bit much, but they bring a special touch. 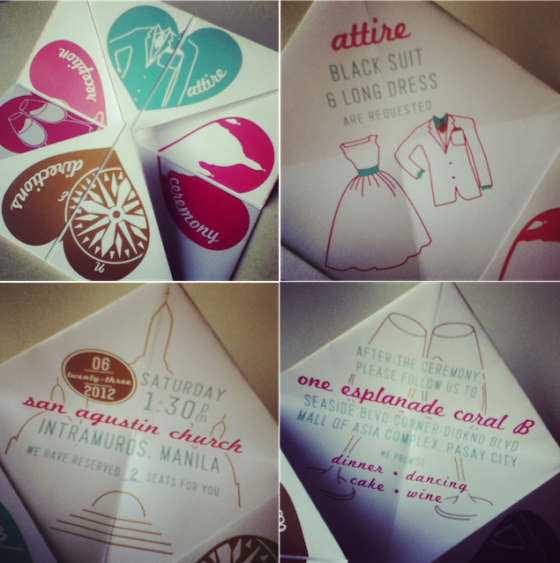 As a child I played with cootie catchers, and think this is an incredibly sweet and romantic way to provide guests with all the details to your special day. It's especially perfect if you met at a young age, or in school. This invite is perfect for all of us that have a little nerdy side. 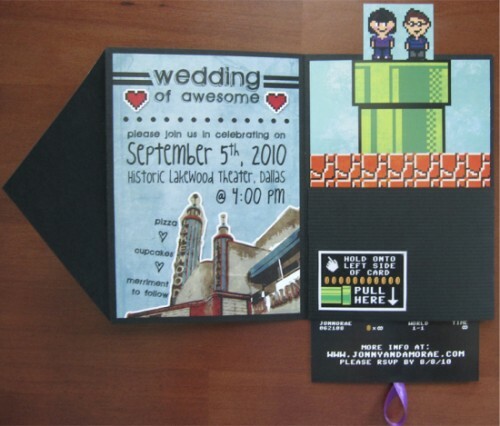 It's a super cool, geeky interactive invitation that speaks to the couple's personality. Who doesn't love something sweet? 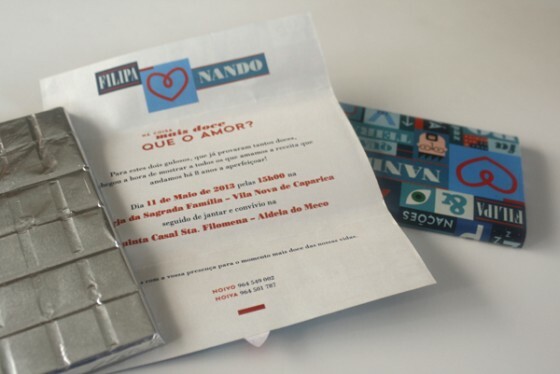 This cute couple decided to send all their invitees a yummy bar of chocolate with a custom made wrapper that featured the details of their wedding on the inside. 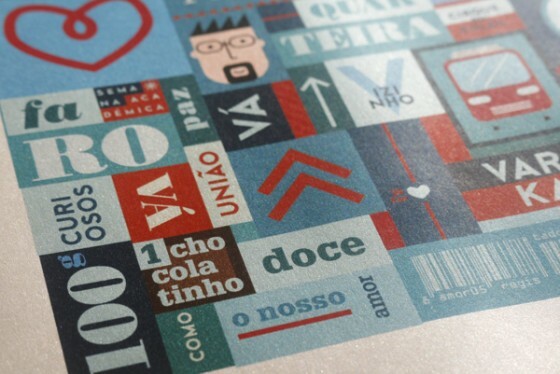 These invitations have a pop art collage style look to them, and features a lot of funky icons. Are you a sustainable and eco-friendly couple looking to leave less of an environmental impact? Or do you love the look of rustic wood. 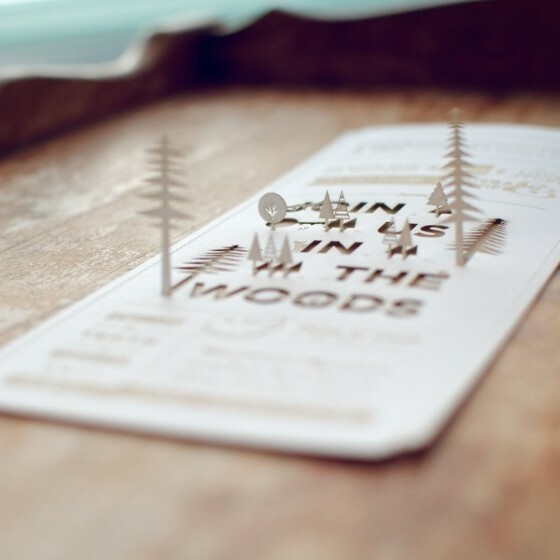 These lasercut wood invitations are phenomenal, and eco-friendly. 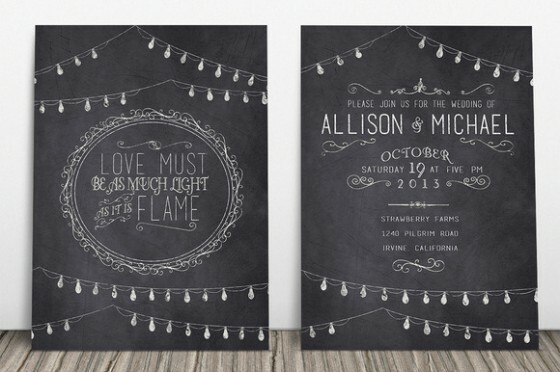 This festive wedding invitation suite features hand-drawn elements, chalkboard styled design, and bright colors. 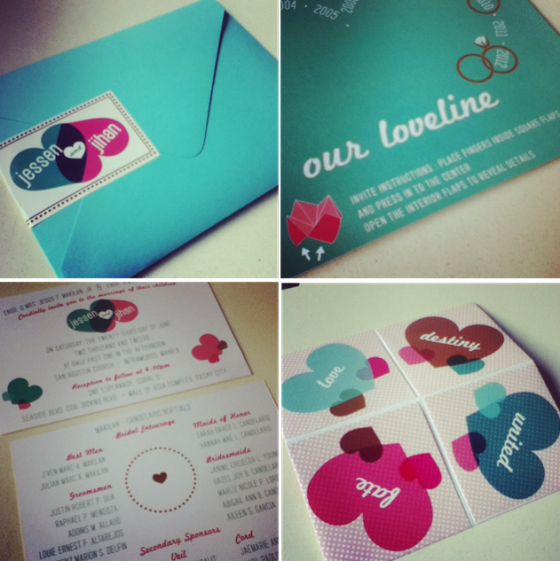 Honestly, I can't pinpoint the exact feature that made me fall madly in love with this suite, maybe its the combination of colors, maybe it's the crafty style...either way these invites are out of this world. 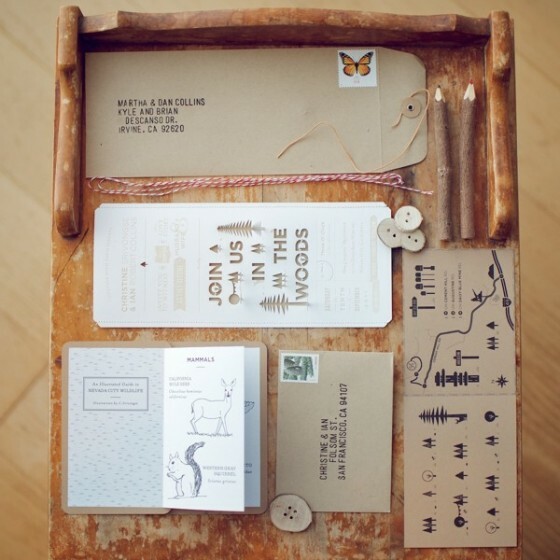 Give your guests an invite that they will not only remember, but be able to treasure and use forever. 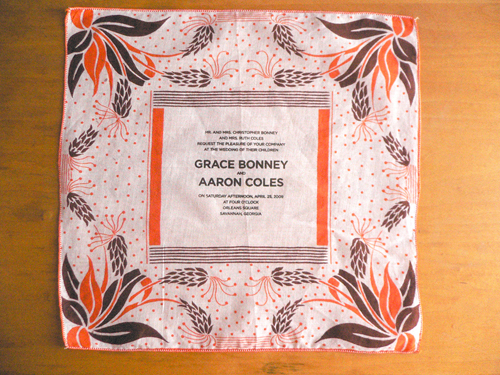 These invitations are printed on handkerchiefs....a fun and functional invitation choice! This is a collection of wedding invitations, rather than a single invite, all done by Olga Cuzuoic a talented artist and designer. 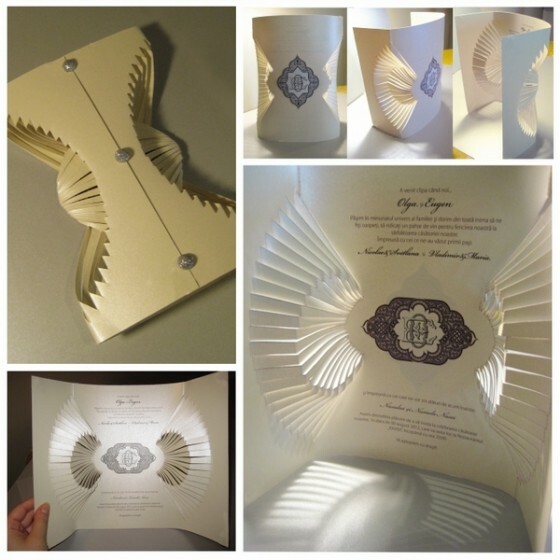 Olga specialized in trendy and innovative paper folding designs. I've featured a few of my favorites below for your enjoyment and inspiration. These dangling wedding invitations are a lot of fun, and actually pretty simple to DIY. 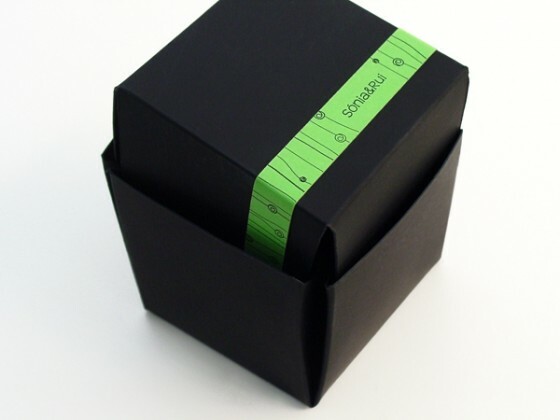 Just print out the pieces yourself and grab a box and paper cutter that fits the box's size. 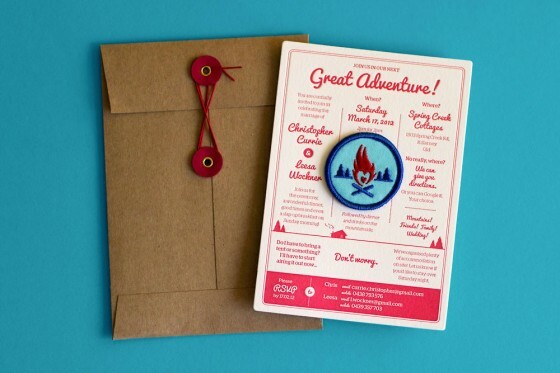 These invites were designed to look like a pamphlet that you be handed out at a national park kiosk or trail. They are super cool, and even feature a badge that reminds me of when I was in Girl Scouts. 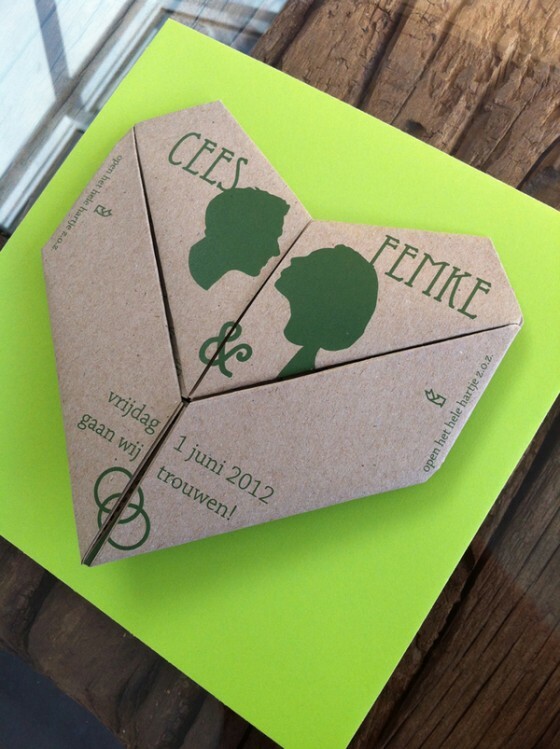 This wedding invitation features cut out characters that can interact with the invitation itself. According to the designer, "Alex & Alica wanted a wedding invite to capture the special memories, strengths, and cherished moments of their relationship. They gave myself and my writer-collaborator, Leilah Ambrose, a list of things that are special to them: plants, walkable neighbourhoods, music, and their wandering journey from Kingston to Toronto. Taking those elements, we created a walkable wedding invite: by cutting Alica and Alex out, you could walk them on a path through the invite, recreating the stories and places that have made their relationship so special." Are you a lover of interesting shapes and designs? 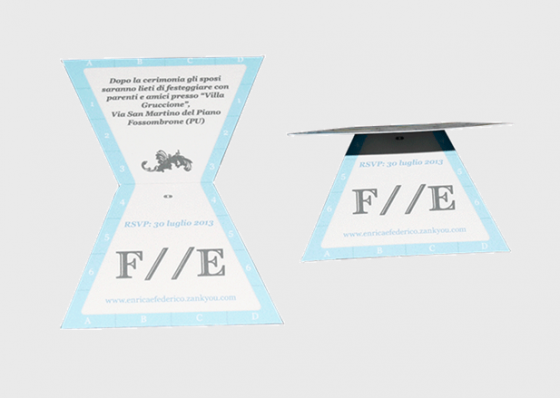 If you like Origami, these invitations might be something to consider for your special day. 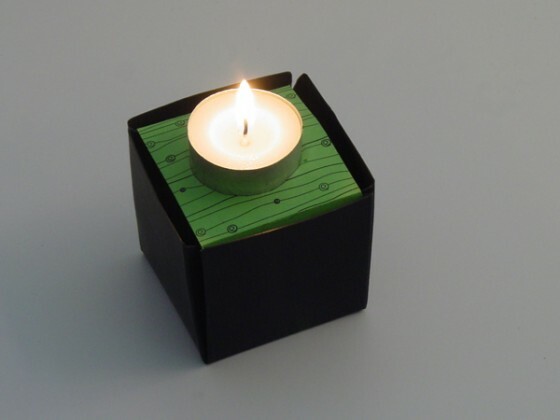 This wedding invitation box actually turns into a candle when pulled apart. It's a fun keepsake your friends and family can cherish after your big day. This invitation helps you count down the days until the wedding date, imply rotate the invitation's disk to the current day and it will tell you how many days are left until the special event! 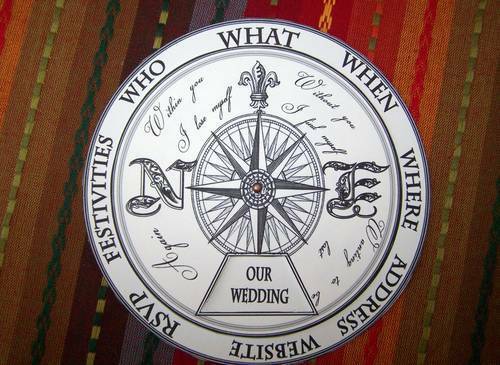 For their nautical themed wedding, this couple gave their designer complete creative control. 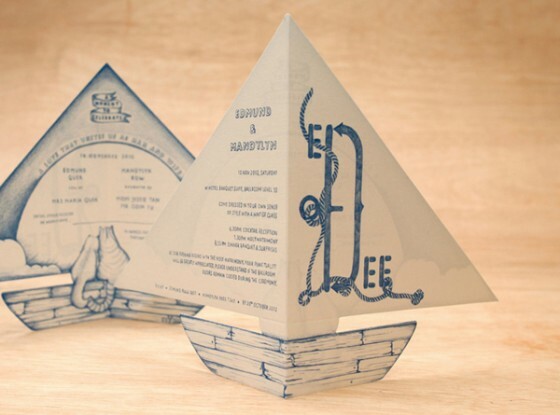 What she came up with, was these incredible invitations that are actually in the shape of a sail boat. 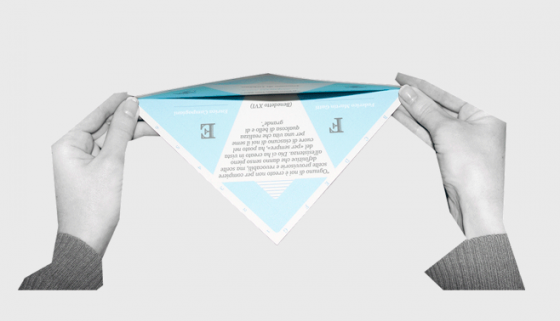 These incredible invitations are designed for a couple who are citizens of the world. 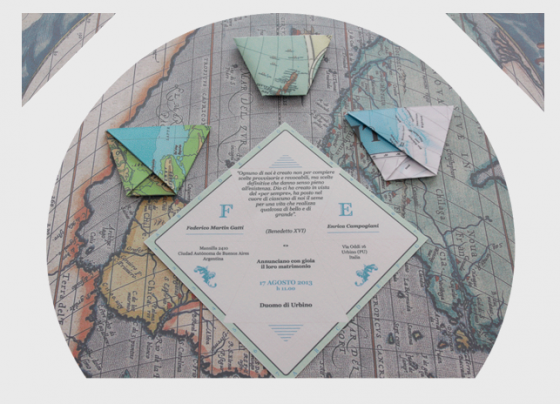 They enjoy traveling, and so their designer created these cool origami map invitations that are fun to open. This couple wanted a fun, functional, and unique invitation that others could use. 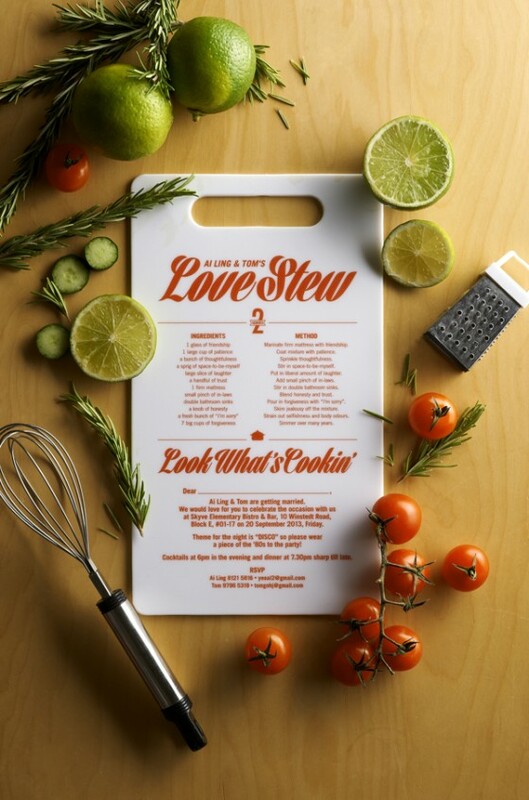 They ended up with a recipe style invitation on a miniature cutting board. It's a super cool invite for food lovers! We hope you've enjoyed this collection of 23 creative and unique wedding invitations for your inspiration. 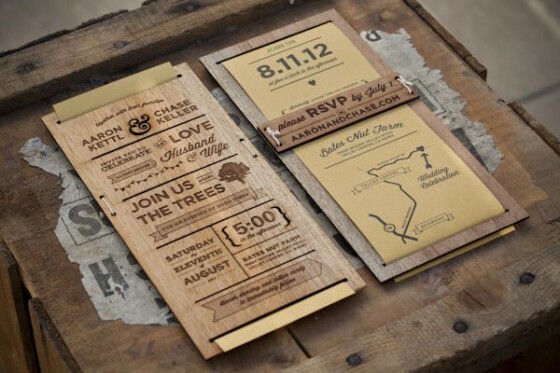 If you're getting married and want to DIY your invitations, or point your designer in the right direction Creative Market has a multitude of resources for your wedding invitations. Not only do we have a series of editable wedding suites, we have numerous graphic resources to help make your special day perfect. I've selected some of my favorites below and I hope you enjoy them!